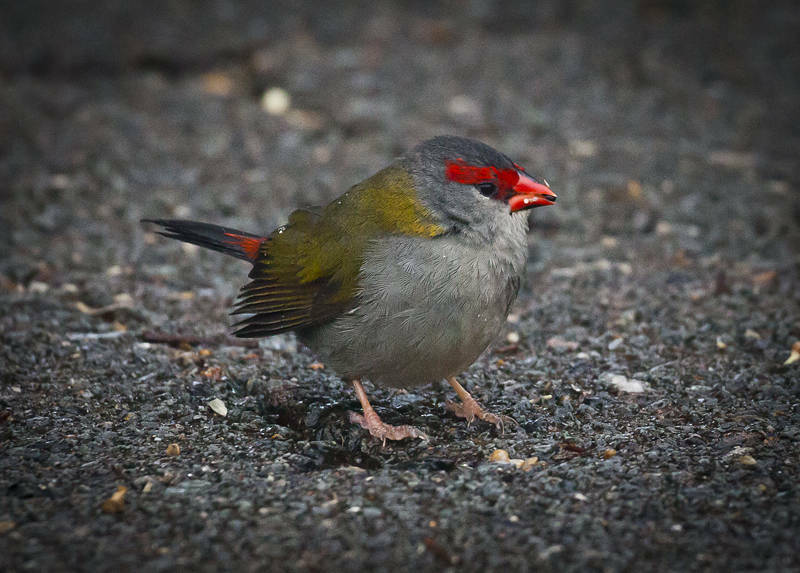 This bird is a Red-browed Firetail which is a type of Estrildid Finch. I photographed it this afternoon at Lamington National Park in Queensland, Australia. It is close to New South Wales but there is no road crossing the border. The only way in is a long winding dead-end track which climbs into the heart of the Green Mountain Gondwanan forest.